After a few weeks without running any workshops, Saturday saw the first Learn Bookbinding workshop of 2019. This workshop was fully booked however one attendee was unable to make it due to illness. Therefore seven lovely ladies were duly converted from complete novices into budding bookbinders, each making a beautiful casebound quarter-cloth A5 notebook. My New Year’s resolution of taking more photographs failed at the first hurdle, I thought I’d only have one photo to upload. Had a fabulous time on the introductory course this weekend and am very proud of the book I came away with. Can’t wait to start the Starter Pack books now to consolidate the learning. My next workshop is Saturday 26th of January – Half Leather Binding. 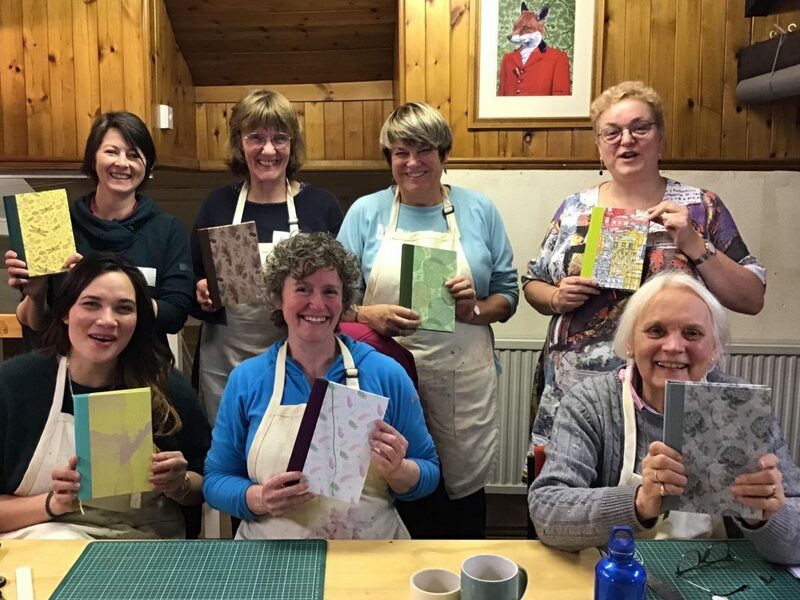 It’s an advanced workshop more suitable for those of you who’ve attended one of my introductory workshops or made books using my bookbinding kit. 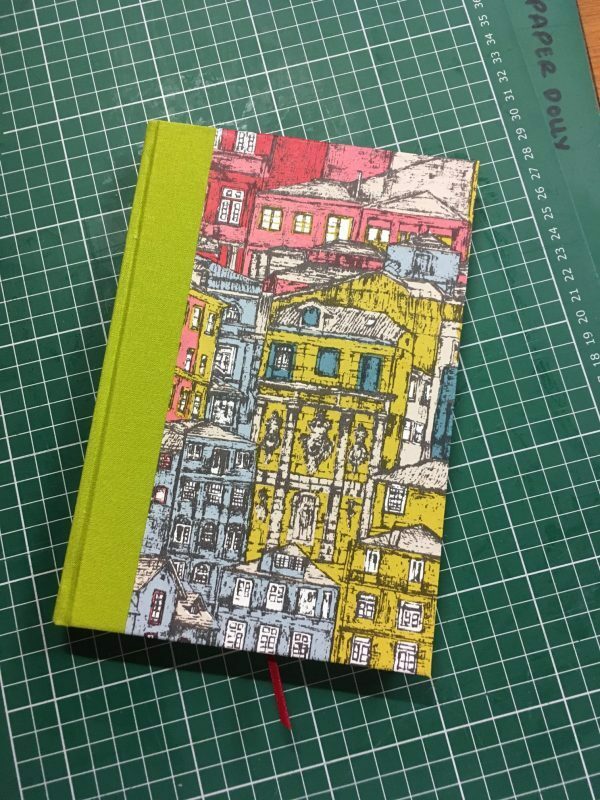 However if you’re a bookbinding newbie but confident in your crafting ability you’re still more than welcome to come along. I’ll make sure you make a leather-bound book to be proud of!